Daily Diagnosis is the official briefing of the American Society for Clinical Pathology and is a highly valued member benefit. It is delivered Monday through Friday by 8 a.m. EST. The American Society for Clinical Pathology is the leading organization for general and specialty pathologists, pathology residents, medical technologists, and laboratory professionals. 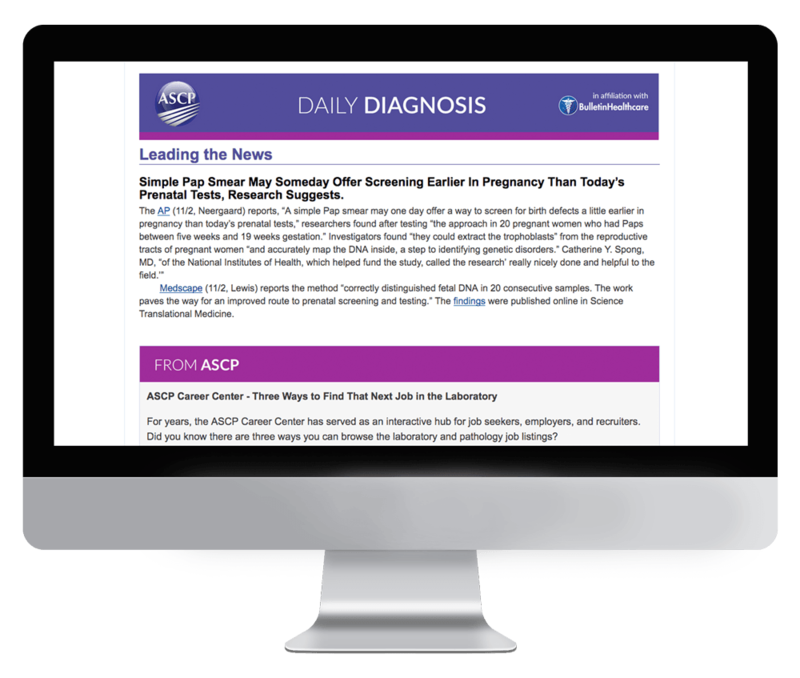 Subscription to Daily Diagnosis is exclusively limited to ASCP members. If you are a member of ASCP and would like to receive this briefing, please reach out to the association directly.